This issue contains news of Derbyshire's first ever crime festival, Derbyshire Noir, which will take place on Saturday 17th August at Chesterfield Library. More information to come soon, but make a not of the date in your diaries! The 18th Cooper & Fry novel FALL DOWN DEAD has just been released in US ebook editions. This is the latest title in the award-winning series featuring Derbyshire police detectives Ben Cooper and Diane Fry, set in England’s beautiful and atmospheric Peak District. "Almost before she'd stopped breathing, a swirl of mist snaked across her legs and settled in her hair, clutching her in its chilly embrace, hiding her body from view. It would be hours before she was found. 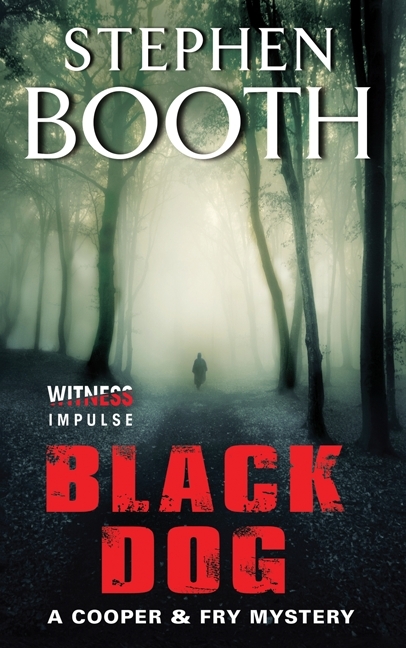 The dramatic, gripping new Cooper & Fry crime thriller from best seller Stephen Booth sees the stunning Peak District prove fatal for one walking party. For DI Ben Cooper, however, something about the way Faith Matthew fell to her death suggests it was no accident, and he quickly discovers more than one of the hikers may have had reason to murder their companion. To make things worse, his old colleague DS Diane Fry finds herself at the centre of an internal investigations storm that threatens to drag Cooper down with it." A US paperback edition will be released in May. 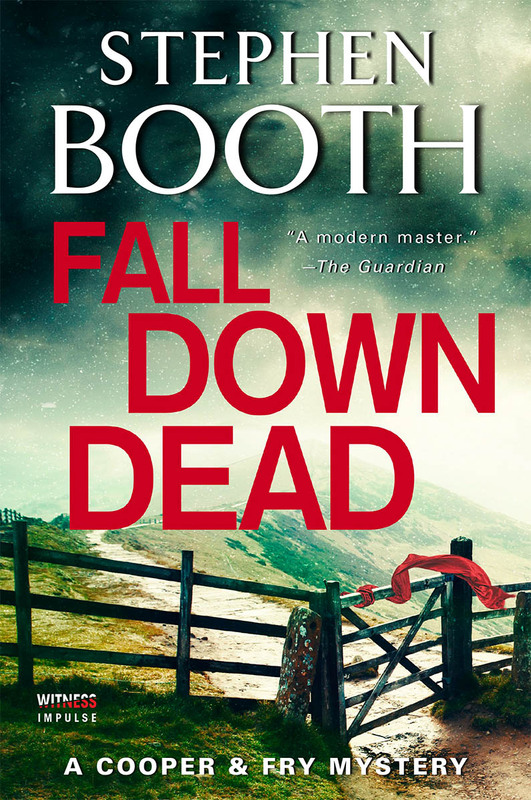 FALL DOWN DEAD will be released in UK paperback in May. Hardback and ebook editions are already available. Or call in at your local bookshop and ask for it! Waterstones, 1-5 Bridlesmithgate, Nottingham NG1 2GR - 'Midlands Noir' evening, with Sarah Ward and Roz Watkins. 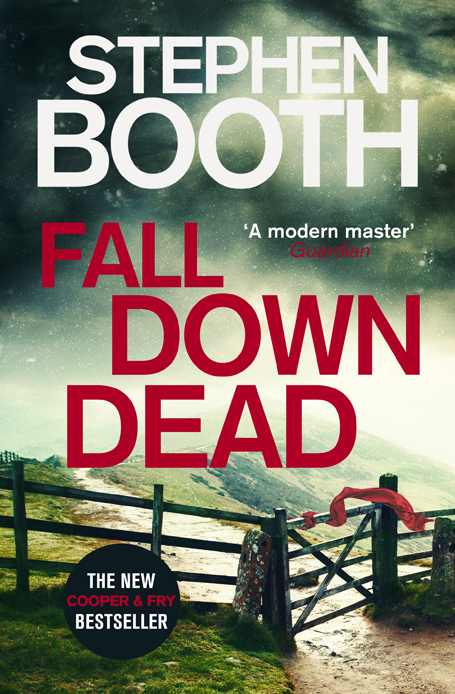 Waterstones, The Tontines Centre, Parliament Row, Hanley, Stoke-on-Trent ST1 1PW - signing for FALL DOWN DEAD paperback. The Quad, Market Place, Derby DE1 3AS - Nottinghamshire crime panel for Derby Book Festival, with K.L. Slater and T.M. Logan. Tickets £6. Visit the Quad box office, phone on 01332 290606 or book online here:. Check out the Events Page for more dates. We've opened up sales of FALL DOWN DEAD on this website to readers outside the UK. 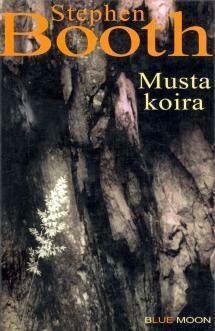 Check out the other books also available on the Sales Pages. The second of Stephen Booth's free, accessible writing courses in the East Midlands is currently under way in Alfreton, Derbyshire, following a course in Retford, North Nottinghamshire. The subjects covered over six weekly sessions include character, setting and plot, as well some of the essential technical elements of the craft which new writers often struggle with, such as controlling point of view, 'Show Don't Tell' and the use of dialogue, etc. There's everything from tips for keeping your readers hooked to an explanation of the passive voice and why you should avoid it. 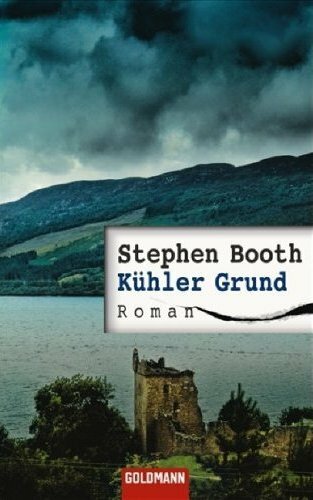 Stephen shares advice on routes to getting published, and some insights into the mysterious world of publishing itself. When emailing, please give your name, the town where you're located (or that you can get to easily), and a few details about what you're interested in writing and your level of experience. The aim of these courses is to bring opportunities to writers in areas away from the big cities, making them genuinely accessible and affordable. Courses may be run in other parts of the East Midlands region if there's enough interest. Locations will be chosen where most people are based. The only cost might be the hire of a venue, but many venues have already been offered free of charge. Between 6 and 12 people in a group would be needed to make a course viable. 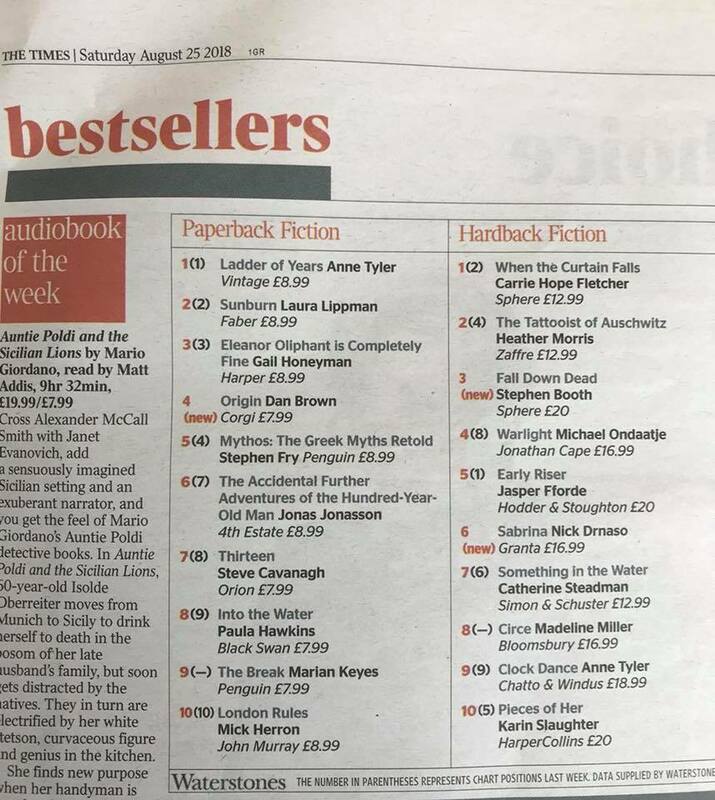 The new Cooper & Fry novel FALL DOWN DEAD hit the UK bestseller lists immediately on publication, including reaching NUMBER THREE on The Times hardback fiction chart. Thank you to everyone who helped to make this happen! The 17th Cooper and Fry novel DEAD IN THE DARK is also available in the UK. Meanwhile, Fry is working on a murder investigation of her own in an entirely different part of Derbyshire, where a fractured community is divided against itself. 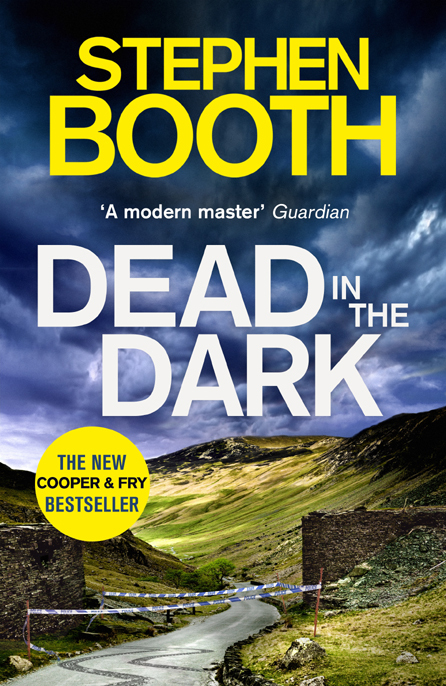 Stephen Booth ventures into the Peak District's dark subterranean world for this stunning Cooper & Fry thriller DEAD IN THE DARK. Or call in at your local bookshop, of course! The paperback of DEAD IN THE DARK reached number 34 in the UK Top Fifty in its first full week after publication. Last December, Stephen Booth was again joined by ex Detective Chief Inspector Stuart Gibbon in Nottingham for their one-day crime writing workshop 'Researching and Writing the Perfect Murder'. For aspiring crime writers, these workshops are a unique opportunity to delve into the world of crime fiction and fact. In the morning session Stuart takes you through the scenario of the discovery of a body to the detention of a suspect. Areas covered include the initial steps at the crime scene, suspect enquiries, forensic evidence and police custody procedures. In the afternoon, armed with your authentic details of a murder investigation, you can join Stephen as he discusses how to create a protagonist who is not only believable, but interesting and engaging. The workshop helps writers to form rounded, multi-dimensional characters who will drive the story. It also covers the importance of clear objectives and a credible motivation to produce a robust plot. Stuart Gibbon is a former senior police detective with extensive experience in charge of murder inquiries in London and the East Midlands. He now advises writers on police procedure as GIB Consultancy. He also talks to writing groups and appears on TV and radio as a policing expert. The Authors for Grenfell Tower auction has now ended, with £150,000 being raised from more than 700 items. The money will go to a Red Cross fund for the families affected by the Grenfell Tower fire. 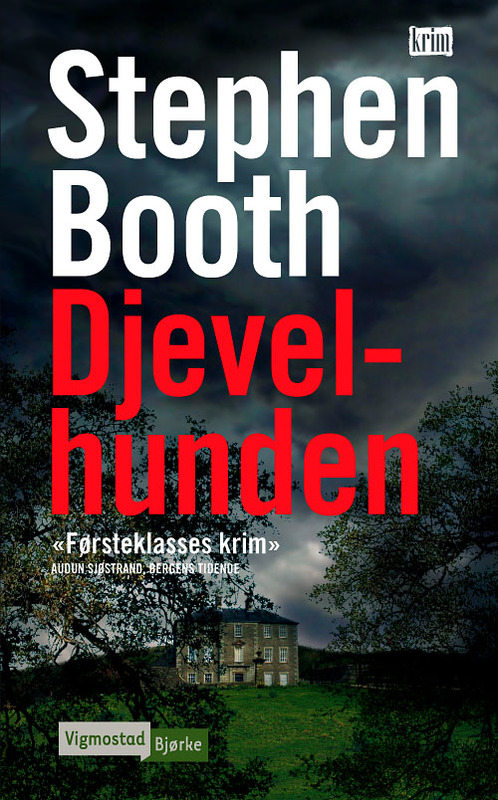 Stephen Booth donated a signed copy of the brand new Cooper & Fry novel DEAD IN THE DARK (released on 13th July) AND the unique opportunity to have a character name in the next Cooper & Fry, due to be published in 2018. The winning bid from a Canadian reader was £350. Many thanks for the generosity! 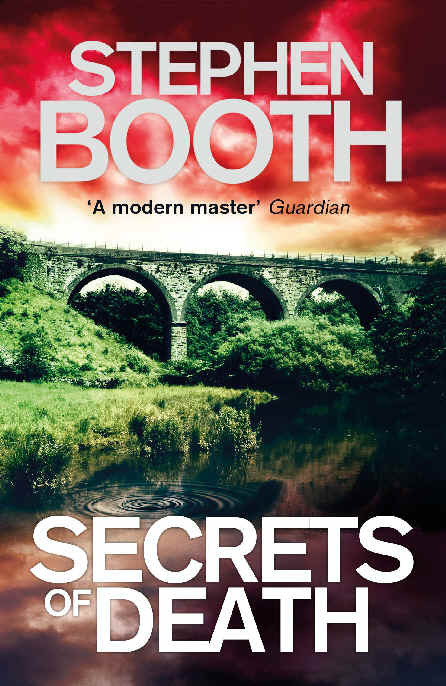 The massmarket paperback of SECRETS OF DEATH hit the bestseller list this month after its release in the UK by Little, Brown. The latest Cooper and Fry novel was the highest new entry in the Official UK Top 50, coming in at number 29 in its first full week of sales. or call in at your local bookshop, of course. 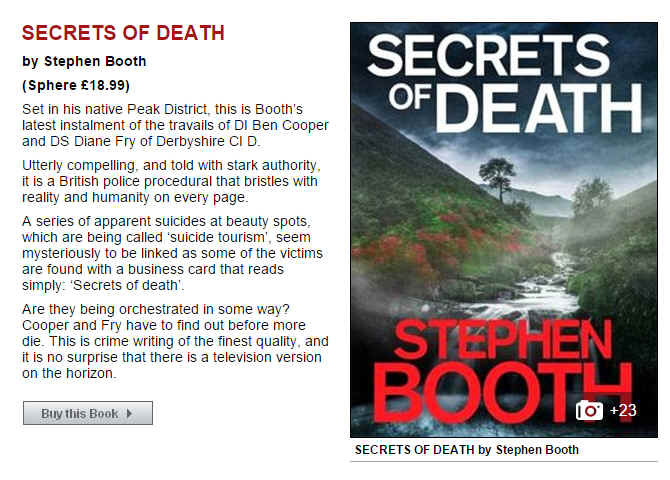 In the UK, you can still buy the hardback and ebook editions of SECRETS OF DEATH too. A CD audio edition of SECRETS OF DEATH was released by Isis Audio, read by Mike Rogers. The US edition of the latest Cooper & Fry novel SECRETS OF DEATH has been released this month by Witness Impulse in ebook formats. 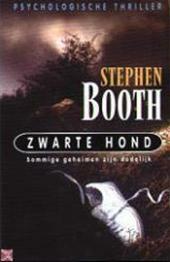 A US paperback edition of SECRETS OF DEATH was released in May. Some signed UK hardback first editions of SECRETS OF DEATH are now available from the Sales Page. These can be despatched anywhere in the world. But we only have a few copies left, so make sure you don't miss out! 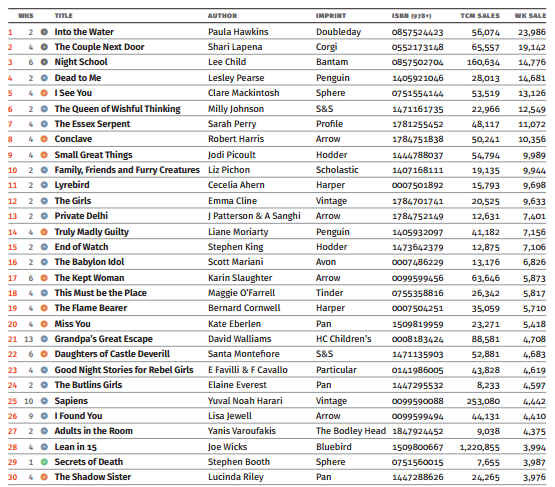 The latest figures for Public Lending Right show that Stephen Booth is still among the top 100 most borrowed adult authors in UK libraries. 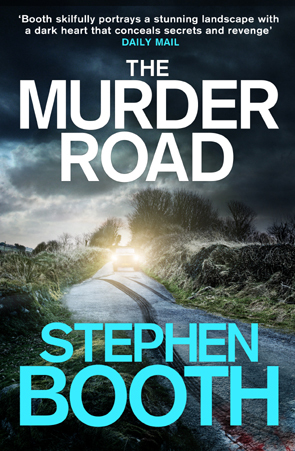 The figures also show that the 15th Cooper and Fry novel THE MURDER ROAD was the 20th most borrowed book among library users in the Yorkshire and Humberside region, as well as the 33rd most borrowed title in the North West and Merseyside, and the 91st in the North East. 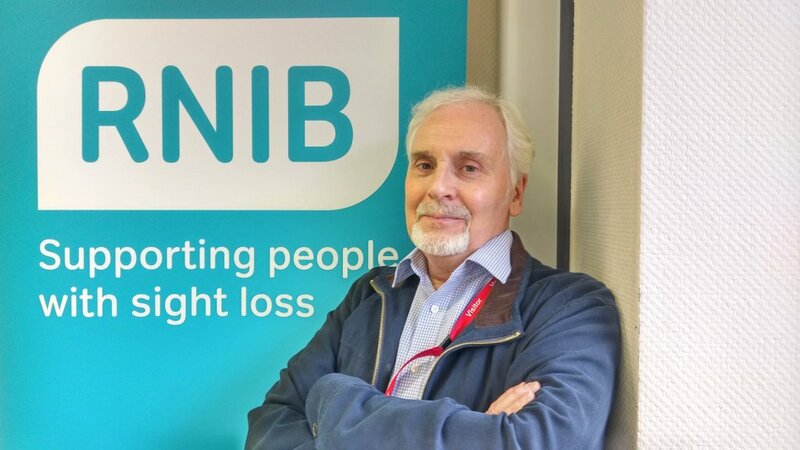 Stephen Booth is on the cover of the RNIB's 'Read On' magazine for its latest issue, with an interview inside. Earlier this year, Stephen visited the RNIB library in Peterborough to support their work in making books available for visually impaired readers throughout the UK. In September the BBC filmed an interview with Stephen Booth as part of their 'Love to Read' campaign, which is running through the autumn to encourage a love of reading and books. The resulting feature was aired on 3rd November) on BBC East Midlands Today and on Sky Channel 960. The interview with the BBC's Dominic Heale was filmed partly on Stanton Moor (the inspiration for the second Cooper & Fry novel DANCING WITH THE VIRGINS) and partly in a Peak District pub, the Flying Childers Inn at Stanton-in-Peak. The Daily Mail newspaper has just published its list of 'Best Summer Reads' recommendations. These are the books you should be reading on the beach over the summer holidays! In the Crime and Thrillers section, along with Stephen King and Alan Furst, you'll find one British crime novel they recommend this summer - and, yes, it's the latest Cooper & Fry novel SECRETS OF DEATH! "Utterly compelling, and told with stark authority, it is a British police procedural that bristles with reality and humanity on every page. "A series of apparent suicides at beauty spots, which are being called ‘suicide tourism’, seem mysteriously to be linked as some of the victims are found with a business card that reads simply: ‘Secrets of death’. "Are they being orchestrated in some way? Cooper and Fry have to find out before more die. This is crime writing of the finest quality, and it is no surprise that there is a television version on the horizon." One of the signs of Spring is a new Cooper and Fry paperback in the shops. The 15th novel in the series THE MURDER ROAD was released in UK massmarket paperback in May. 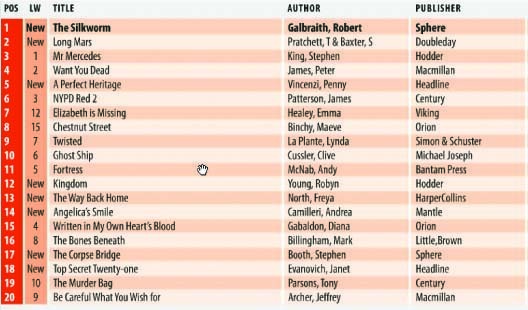 THE MURDER ROAD reached number 17 on the Sunday Times bestseller list when it was published in hardback last year. "This 15th novel in a series that should in all justice soon make it to our TV screens is as assured as ever. An impeccable police procedural with a touch of class." THE MURDER ROAD explores the consequences on a tiny Peak District community when a lorry which becomes jammed under a railway bridge is found to have a blood-stained cab and a missing driver. 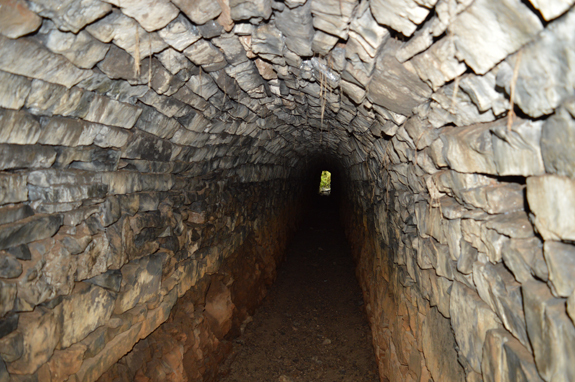 For residents in the hamlet of Shawhead, there's only one way in and one way out. And some of them may never go out at all. Detective Inspector Ben Cooper is on the scene with his team from Derbyshire E Division. But the one person who may hold the answers to the mystery is found hanging from a walkway high over the river in the nearby town of New Mills. With the arrival of a new sergeant, Cooper is unsure of his position in E Division. So who will he turn to when his case takes a dramatic turn? 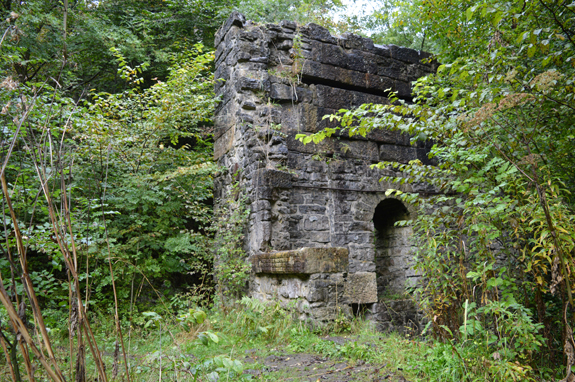 THE MURDER ROAD is set around the towns of New Mills and Whaley Bridge, in the north west corner of Derbyshire. Locations range from the Torrs gorge, with its spectacular Millennium Walkway (below left), to the recently restored canal complex at Bugsworth Basin (below right). It's available in ebook formats in various parts of the world too, including the UK, Canada, Australia and New Zealand. 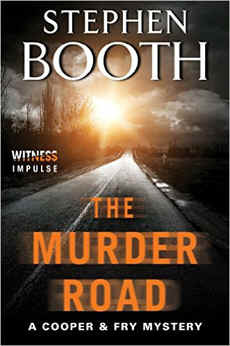 The 15th Cooper & Fry novel THE MURDER ROAD has been released in the USA in paperback and ebook editions by Witness Impulse, an imprint of HarperCollins. 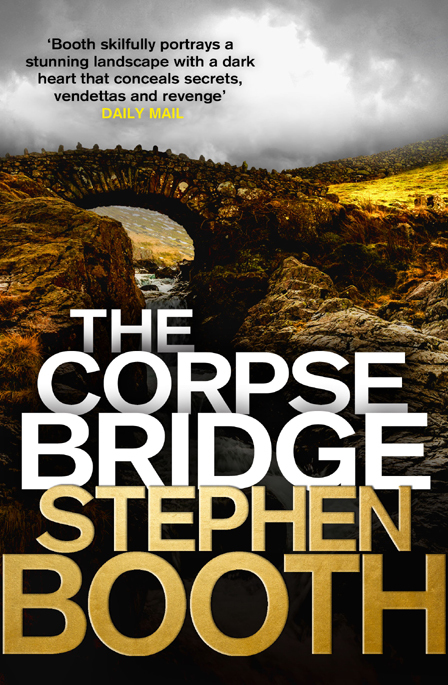 The massmarket paperback of the 14th Cooper & Fry novel THE CORPSE BRIDGE was released in the UK on 18th June by Little, Brown. 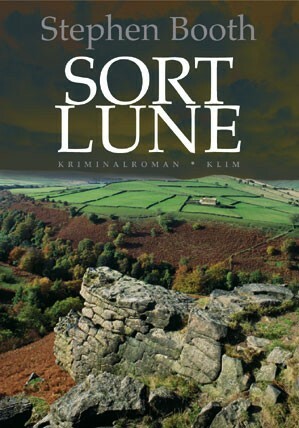 In this latest instalment in the lives of Derbyshire police detectives Ben Cooper and Diane Fry and their colleagues in E Division, the Peak District locations range from an abandoned cheese factory to the primeval landscape of the Dragon's Back, from mysterious testing grounds near Buxton to the ancient bridge itself. "The old Corpse Bridge is the route taken for centuries by mourners from villages on the western fringes of Derbyshire to a burial ground across the River Dove, now absorbed into the landscaped parkland of a stately home called Knowle Abbey. "When Earl Manby, the landowner, announces plans to deconsecrate the burial ground to turn it into a car park for his holiday cottages, bodies begin to appear once again on the road to the Corpse Bridge. Is there a connection with the Earl's plans? Or worse, is there a terrifying serial killer at work? "Back in his job after the traumatic events of previous months, Detective Sergeant Ben Cooper knows that he must unravel the mystery of the Corpse Bridge if he's going to be able to move on with his life. 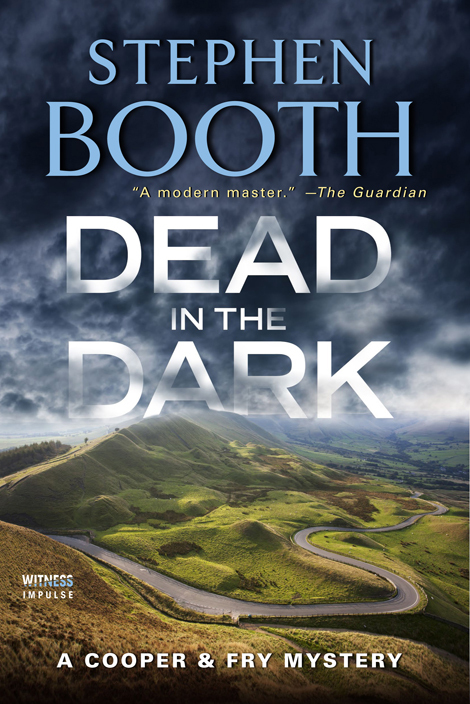 "As the pressure builds, Ben doesn't know who he can trust and, when the case reaches breaking point, he has to make a call that could put everything - and everyone - at risk..."
The Daily Mail says: "Booth skilfully portrays a stunning landscape with a dark heart that conceals secrets, vendettas and revenge." "This is one of his best books to date... do not hesitate to pick it up and devour it!" THE POLDARK OF THE PEAK DISTRICT? The latest addition to the Virtual Casting Page suggests that some readers may think of Ben Cooper as the Poldark of the Peak District! 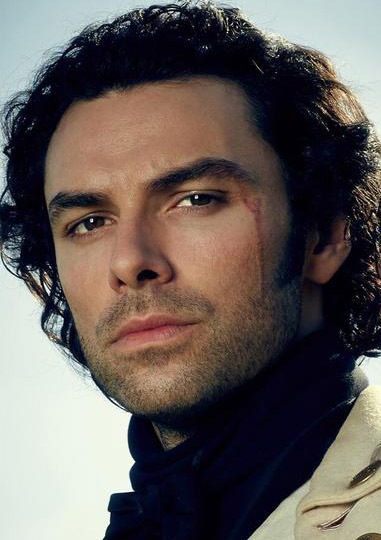 Actor Aidan Turner, who plays the Cornish heart-throb in the BBC TV series 'Poldark', has been suggested as the latest possibility for the role of the Derbyshire detective if Cooper and Fry reach the small screen. Check out all the suggestions on the Virtual Casting Page and let us know what you think. 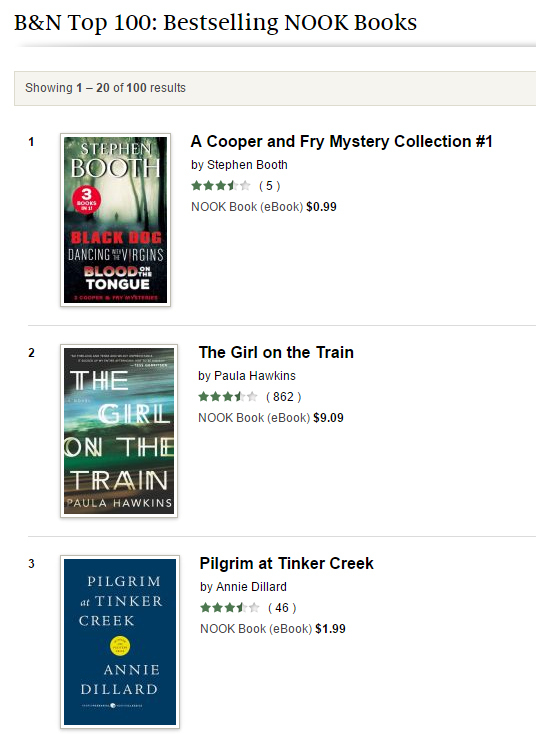 In the USA, the Cooper & Fry Mystery Collection #1 is currently sitting at number 1 on Barnes & Noble's Top 100 Nook bestseller list, following the latest promotion from its US publishers Witness Impulse. 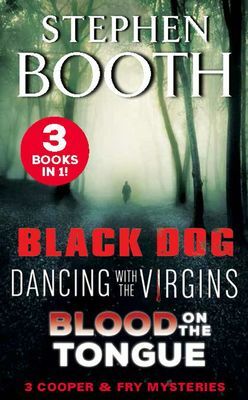 This ebook collection features the first three titles in the Ben Cooper and Diane Fry series - Black Dog, Dancing with the Virgins and Blood on the Tongue - all together in one volume. A perfect introduction to the series! Eleven more titles in the series are also available in the US. Happy birthday, Ben Cooper and Diane Fry! Yes, May 2nd 2015 marks exactly 15 years since the first appearance in the world of the Derbyshire detective duo. 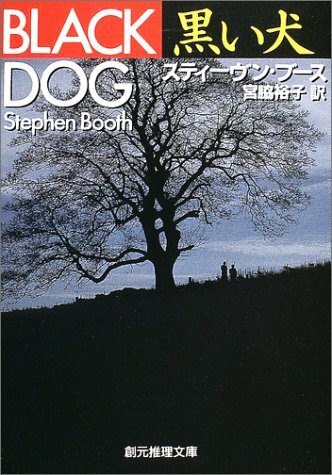 This was the date Stephen Booth's debut Cooper and Fry novel BLACK DOG was originally published in the UK. That first edition, released by HarperCollins in May 2000, was the first of many to come in succeeding years - not to mention at least 14 more books in the Cooper & Fry series! 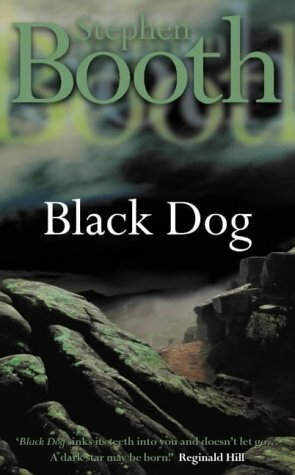 Along the way, BLACK DOG has sold many, many thousands of copies around the world, and continues to sell in substantial numbers 15 years later. It's the book which many new readers start with, as it gives an insight into the characters of Ben Cooper and Diane Fry and their complex relationship. 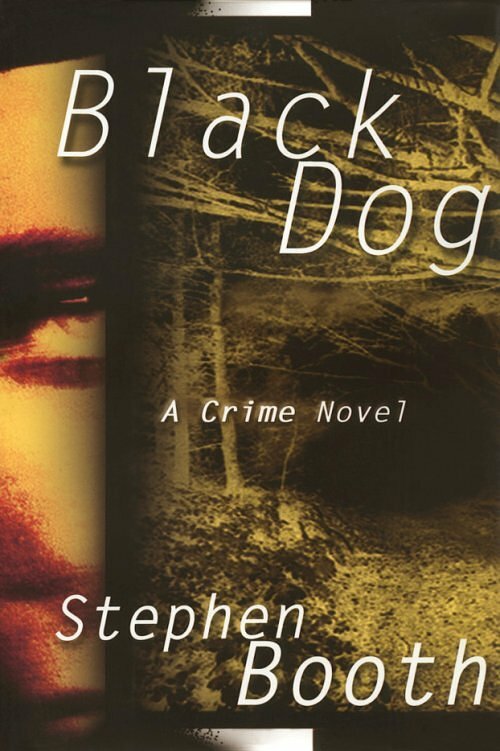 When it was first published, BLACK DOG won the Barry Award for Best British Crime Novel of the Year in the USA, and was a finalist for the Anthony Award for the Best First Mystery Novel. 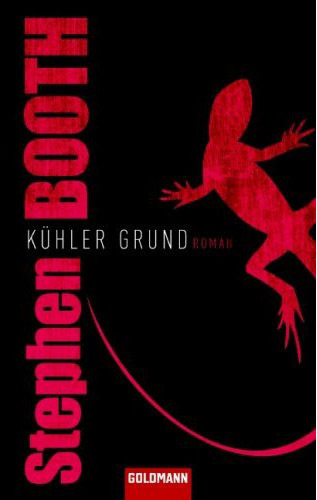 In the UK, it was named by the London Evening Standard as one of the six best crime novels of 2000 - the only book on their list by a British author. To give you an idea of the history of this title, below are the covers of 24 different editions. 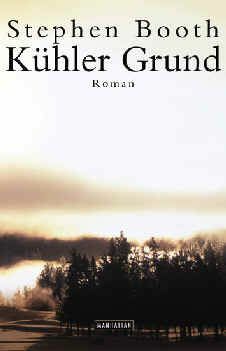 Some of them are from the UK and USA, but there are also a number of translations, including five versions in German, plus editions from the Netherlands, France, Italy, Sweden, Finland, Denmark, Norway, the Czech Republic, Romania, and Japan. We think the range of interpretations is amazing! Many of these editions are still available, of course, and there are even more to come. 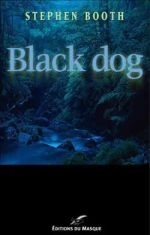 Let's hope the history of BLACK DOG will continue well into the future. The latest Cooper & Fry novel THE CORPSE BRIDGE entered the UK bestseller list at number 17 in its first week on sale. Many thanks to all the dedicated Cooper & Fry readers who rushed out and bought it in the first few days! The new HarperCollins digital imprint Witness Impulse have re-launched the Cooper & Fry series in the USA in ebook formats. 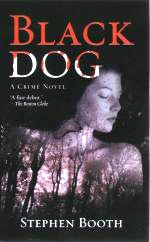 The first title, BLACK DOG, was released in October 2013 and has since hit number 1 in Barnes & Noble's ebook bestseller list (for the full story on this, click here). 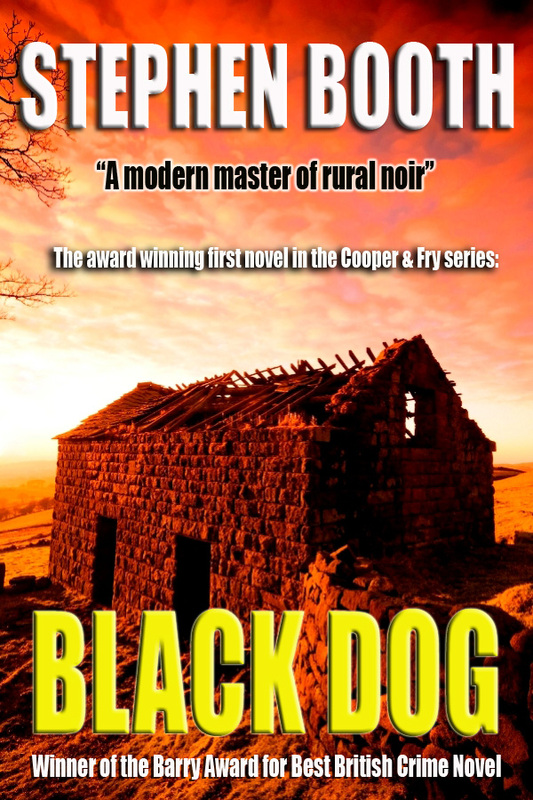 BLACK DOG was the book which first introduced young Derbyshire police detectives Ben Cooper and Diane Fry to the world, along with their 'E' Division colleagues and the fictional Peak District town of Edendale. There are now 13 books in the series, with a 14th on the way. 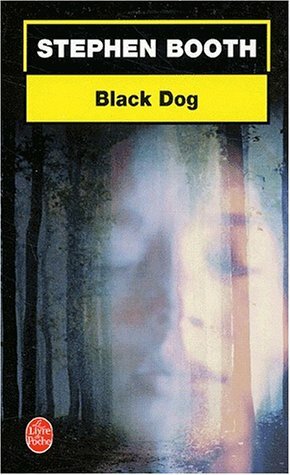 Described by reviewers as "Dark, intense and utterly compelling" and "Simultaneously classic, contemporary and haunting", BLACK DOG tells the story of a murdered teenager whose death rips apart a sleepy village, and the two police officers who become involved in the subsequent investigation. 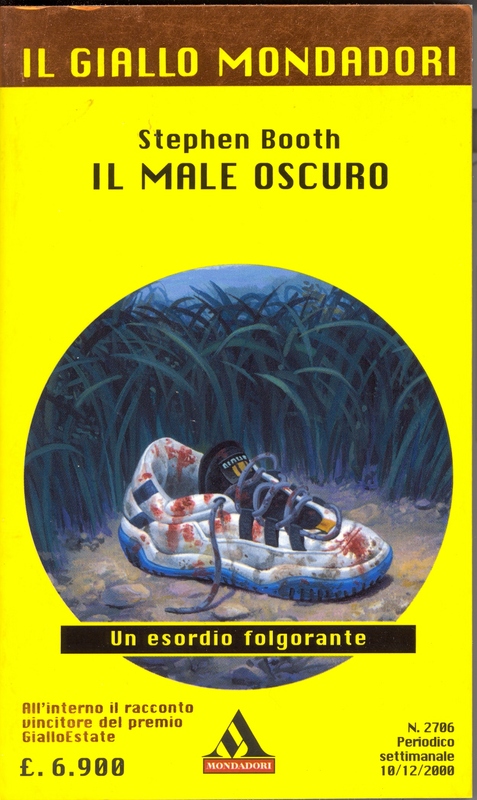 On its original publication, it won the Barry Award for the Best British Crime Novel in the USA, and was a finalist for an Anthony Award for Best First Mystery. If you're in the US and you haven't experienced the Cooper & Fry series yet, now would be a good time to start! Witness Impulse are releasing one more Cooper & Fry novel a month through to August 2014, with TWO releases a month in June and July. The 8th novel DYING TO SIN was released on 6th May, and THE KILL CALL is coming up on 3rd June. 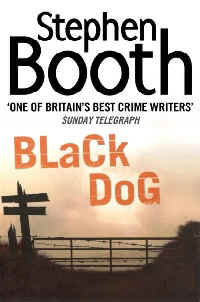 To coincide with the release of BLACK DOG, Stephen Booth took part in a month-long 'virtual book tour'. Finally, Stephen was invited to write a guest post for The Top Shelf blog on 'The Definitive Crime Novel'. What was the first ever detective story? You might be surprised by his answer! TOP HARD - SOMETHING COMPLETELY DIFFERENT! Following some well-publicised problems among retailers last year, independently published books like TOP HARD are still not being listed by some major UK booksellers, including Waterstones and WH Smith. TOP HARD is a standalone crime novel, very different from the Peak District novels. But, like the Cooper & Fry series, it's set in a very specific time and place. Readers' reviews say: "Funny and refreshing" "Entertaining" "A great read"
As he watches criminals target a French lorry parked by the side of the road, Stones McClure thinks his plans might actually come together for once. He's looking forward to a life full of everything he could possibly want. Money, cars, a pair of fancy cowboy boots - who could ask for more? But things aren't always what they seem. And Stones should know it better than anyone. It's Nottinghamshire, England, in 1998. Derelict pits, decaying villages, rundown housing estates - all surrounded by vast, historic mansions in country parks known as the Dukeries. And there's no sign of Robin Hood to spread a bit of the wealth around. In a world full of injustice, among people still haunted by memories of the 1984 Miners' Strike, Stones is a man trying to put his old life behind him for good. But for Stones and his friends, survival in these coalfield villages depends on the Top Hard Rule: You can't trust anyone these days. 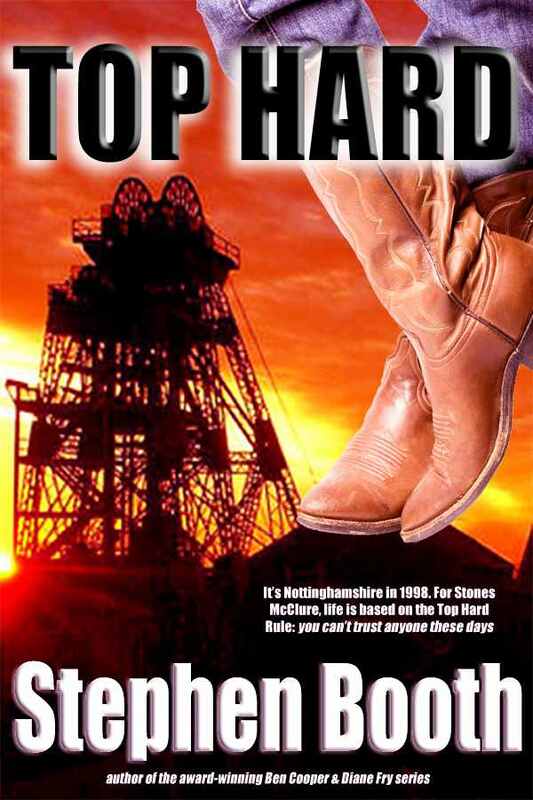 TOP HARD is an irreverent crime story, reflecting life in the Nottinghamshire coalfield villages in the 1990s, and the attitudes of people living there. WARNING: some views expressed by the characters are politically incorrect, and not to be taken too seriously! In 1998, TOP HARD was shortlisted for the first ever Crime Writers' Association New Writing (Debut Dagger) Award for unpublished novels. A few years later, a short story version was contributed to the CRIMINAL TENDENCIES anthology, as a fund-raiser for breast cancer research. The story was selected for this year's MAMMOTH BOOK OF BEST BRITISH CRIME 8, which is published by Robinson in the UK, and for its US/Canadian edition THE MAMMOTH BOOK OF BEST BRITISH MYSTERIES 8, from Running Press. The Virtual Casting Page has been updated with lots more suggestions from readers for actors to play the roles of Ben Cooper, Diane Fry and Gavin Murfin, if the Cooper & Fry series should ever reach the small screen. Among the latest additions to the page are Tom Hardy, Nicholas Burns, Sean Biggerstaff and Warren Brown for DS Ben Cooper, with Felicity Jones, Suranne Jones, Lisa Faulkner and Zoe Lucker suggested for DS Diane Fry, and Mark Benton, Mark Addy and Paul Loughran for DC Gavin Murfin. Let us know what you think, or send you own suggestions! 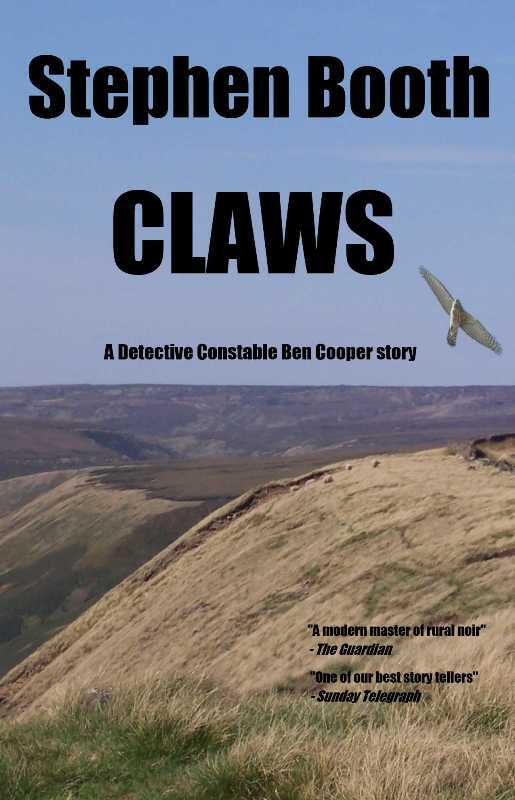 The Ben Cooper story CLAWS is available for the Kindle ebook reader in the UK, USA and Germany. And it's selling for less than a pound (or less than a dollar or a euro, depending where you live!). * A pdf version can be read on pretty much any personal computer using a program such as Adobe Reader, which is usually pre-installed. CLAWS is a short novella of 15,000 words, an outing for DC Ben Cooper without the help (or hindrance ) of Diane Fry. It sees Cooper investigating wildlife crime in one of the most sensitive environments of the Peak District national park. There's also a return appearance by a character who first appeared in BLIND TO THE BONES, PC Tracy Udall. In the wild crags of the Dark Peak moorland, a ruthless conflict has been raging for years. The discovery of an illegal haul from the bedroom of a terraced house is a clue to what might be at stake - perhaps the entire future of one of the most prized landscapes in the Peak District National Park. For young Derbyshire police detective DC Ben Cooper, an assignment to the Rural Crime Squad means stepping into the middle of the conflict, without being quite sure whose side he's on. This was one of the first titles published in the 'Crime Express' series by Nottingham independent publisher Five Leaves, and was recently re-issued in a new paperback edition. Mystery Scene magazine said: "The marketing geniuses at Crime Express deserve kudos for starting this smart series with Stephen Booth's CLAWS." To help all you location detectives out there, Stephen created two customised maps on Google, marking all the major locations in LOST RIVER. LOST RIVER is set partly in Birmingham, where locations include the decaying industrial area of Digbeth, Birmingham's historic Jewellery Quarter, and modern additions to the cityscape such as Brindleyplace and the award-winning Selfridge's store (known to Brummies as the Dalek's Ballgown). You can use the controls to zoom in and out, or click on one of the blue placemarks on the map or at the side of the screen to go straight to a particular location. 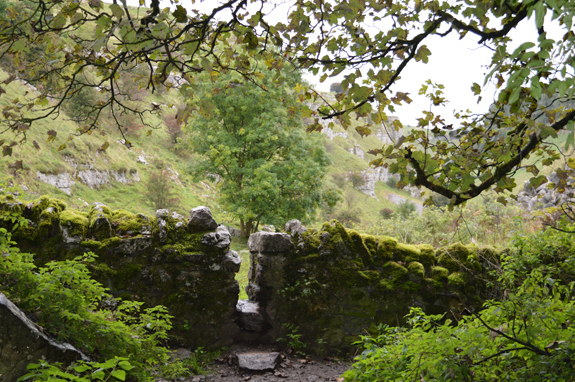 If you're signed in to Google, you can use Street View in many places to get right down to ground level and see what it's like on the street (though in Dovedale you can only get as far as the car park - it's all on foot after that!). Several more suggestions from readers have now been added to the picture gallery on the Virtual Casting Page. Among the latest actors to be suggested for the screen role of DC Ben Cooper are Matt Bardock and Martin Freeman, while Melanie Gutteridge is put forward to play DS Diane Fry, and Trevor Cooper for DC Gavin Murfin. Let us know what you think! Here's a chance to see Stephen Booth talking live about THE KILL CALL. Stephen recorded an interview at Lowdham Book Festival for new digital TV station The Book Channel, which is broadcast in July on Sky Channel 166, Freesat Channel 402, and live on the internet at www.thebookchannel.tv. This Summer, why not get out your walking boots and follow in the footsteps of DC Ben Cooper and DS Diane Fry? Some of the locations used in the Cooper & Fry series are featured in a new Peak District visitors' guide. 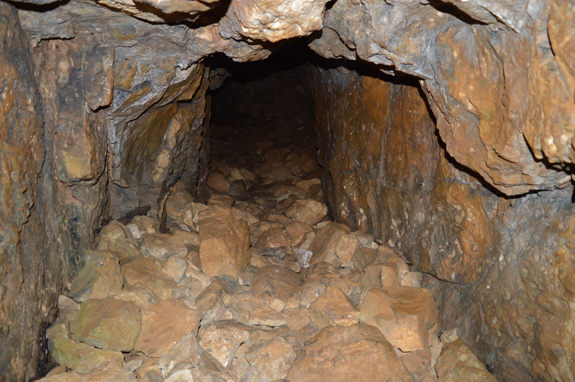 Now you can follow Ben Cooper's footsteps of DC as he walks the snow-covered slopes of Irontongue Hill, or take the same route as DS Diane Fry and DC Gavin Murfin as they venture deep into the tunnels of Speedwell Cavern. 'Front Row of the Peak' has a film and literature theme, and it's just one in a series of ten Peak Experience booklets. Memorable locations from DANCING WITH THE VIRGINS, ONE LAST BREATH and SCARED TO LIVE are among the sights recommended to visitors, along with settings used for the filming of JANE EYRE and PRIDE AND PREJUDICE. You can also find places that have appeared in TV drama PEAK PRACTICE and the BBC’s THE LEAGUE OF GENTLEMEN. The new visitors' guide was launched in Bakewell during the Peak Book Festival, and copies are available from Peak District visitor centres. You can also find more details of Cooper & Fry locations online at the Peak Experience website, along with an interview with Stephen Booth about his Peak District inspirations. "An authentic voice of the Peaks! 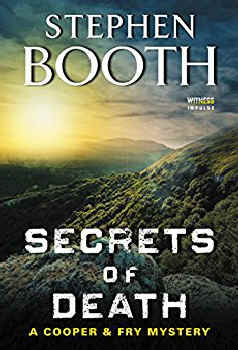 Booth’s details ring true: the climate and seasons, wildlife, contrasts between valley-bottom life and harsher remote hillside living, characters’ names and even the ways people speak are strikingly authentic. Booth knows the Peak District." Meanwhile, you can get a taste of the wonderful Peak District landscape by viewing the slide show on the Peak District Page of this web site. 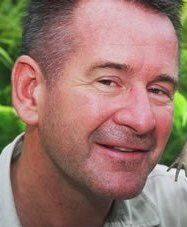 TV wildlife presenter NIGEL MARVEN ('Walking with Dinosaurs' and 'Prehistoric Park') has named BLACK DOG as one of his six favourite books. 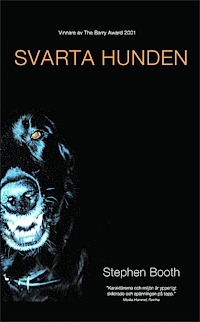 "BLACK DOG - I couldn't put it down!" says Nigel. 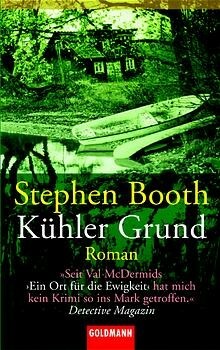 Stephen contributed a short story to an anthology released in November 2005. STUN TO STICK is one of 16 stories by Nottinghamshire writers in 'Sunday Night and Monday Morning' from Five Leaves Publishing. There's no appearance by Cooper and Fry in this one! Other writers contributing stories include John Harvey, Robert Harris, Clare Littleford, Jon McGregor and Julie Myerson. Copies at £9.99 can be ordered from Five Leaves, online from Amazon and WH Smith, or in the UK from your local bookshop (ISBN 090712352X). Click here for more details of the book. 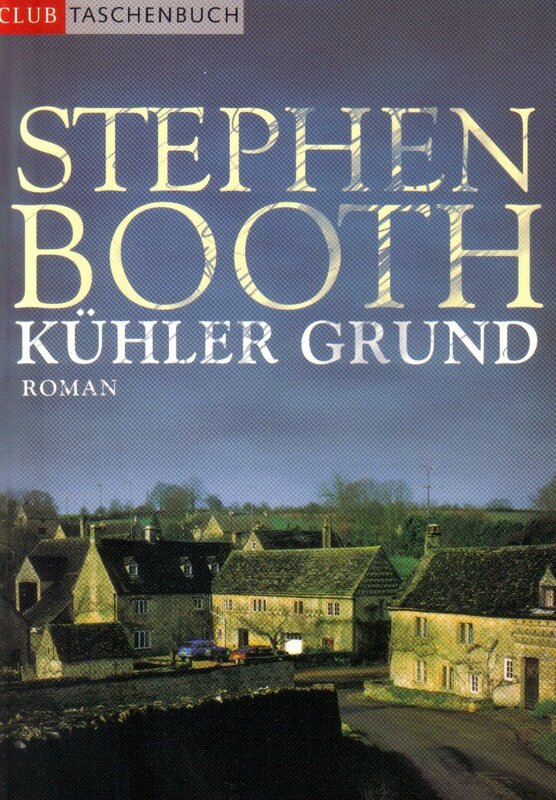 Stephen contributed his recipe for Accidental Bakewell Pudding to a new mystery writers' cook book called 'A Second Helping of Murder', published by Poisoned Pen Press. 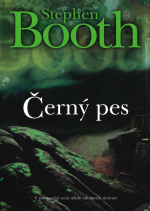 including translations, go to the Books page.